LA CROSSE, May 30, 2010 - On Sunday, May 22, 44 priests across the diocese announced to their parishioners that they were being transferred. 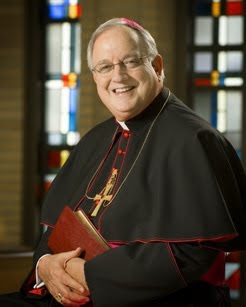 The transfer was initiated by Bishop William P. Callahan of the Diocese of La Crosse. In a letter to the priests, deacons and curia staff Father David C. Kunz, the vicar for clergy, explained that the vast number of changes has been prompted by the implementation of the Pastoral Plan. The Plan is a reflection of the continuing decrease in the number of priests we have to staff our parishes and institutions of the diocese. With five priest retirements and only one ordination this year, it is obvious that the status quo would no longer serve the people of our parishes. He also said that the diocese’s Personal Council that has been planning these changes since January, 2011, took its mandate carefully, attempting to match the gifts of the individual priest with the needs of the individual parish. Bishop Callahan, in his “Bishop’s Corner” on page five explains in detail his reasoning on why the transfers are needed. The priests and their assignments can be found on The Catholic Times website.